This is a must have especially in the Summer. 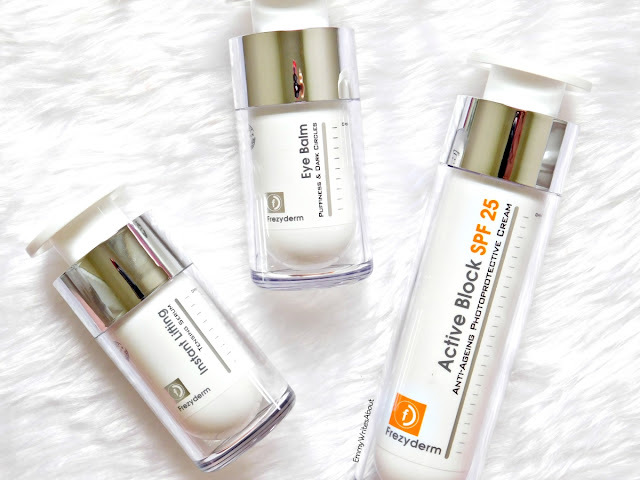 It is designed to protect your skin from ageing and keep it hydrated. I have really been loving it on those no makeup days when it has been really hot. 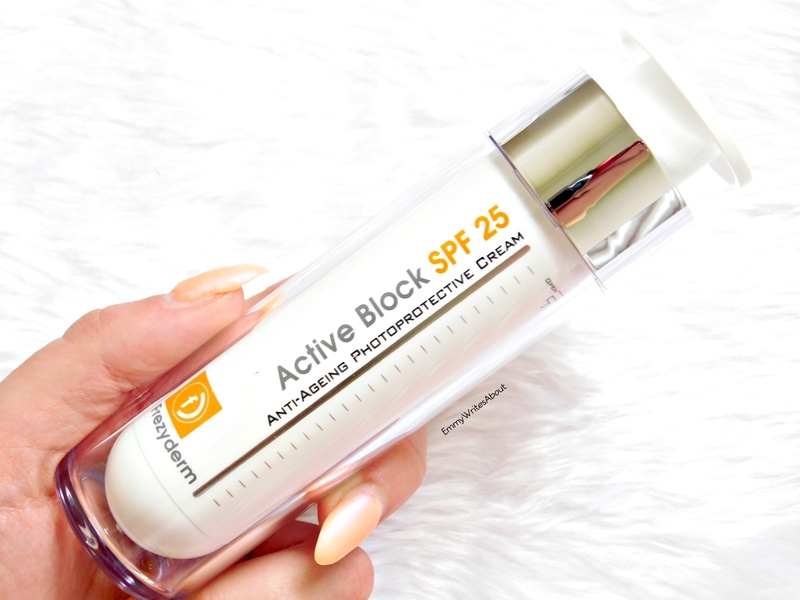 It has SPF 25 so I make sure to always apply this when I am in the sun. It hydrates my skin but doesn't make it feel oily. It feels and looks exactly like sun cream but slightly thinner in consistency. This has to be my favourite product of the three. I suffer with extreme dark circles and always need something to help reduce them. 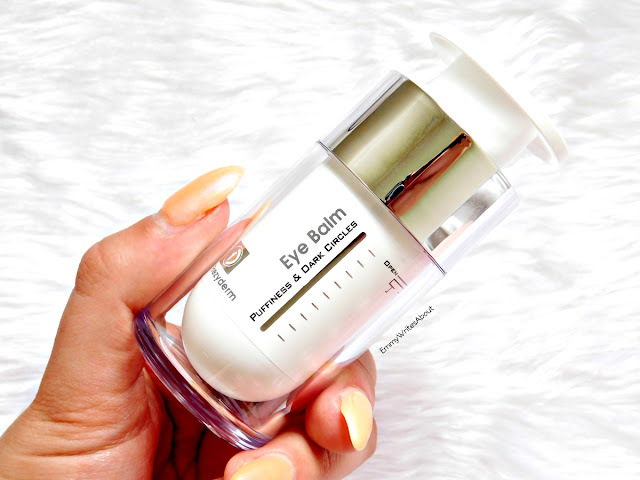 This is different to any eye balms I have tried as most eye balms are more like a gel but this one is like a very thin moisturiser. You only need the smallest amount to cover both under eyes. I pat this into my skin rather than rub and let is soak in. I apply it every night before I go to bed then again in the morning and I have noticed it definitely reduces my dark circles. When I apply it in the morning I make sure to leave it at least an hour before I apply makeup to ensure it is fully soaked into my skin. I was intrigued by this product and I have been testing it out a while now and im not sure what I think. 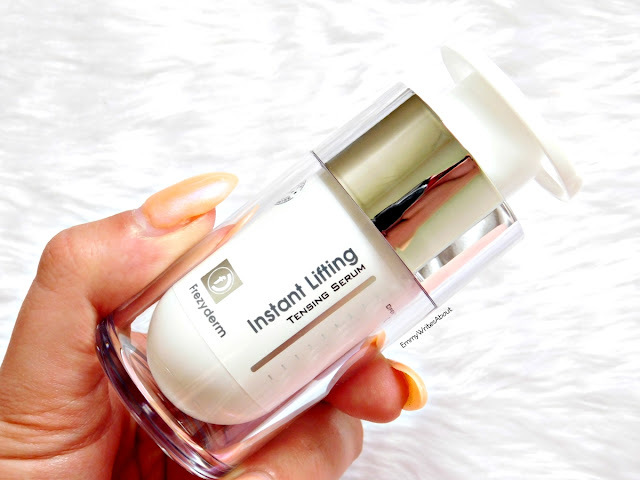 It is a tightening serum that tightens skin and softens wrinkles. As I am only twenty five and don't have wrinkles I don't notice much difference but I have also got my mum to try it out and she says she has noticed a difference in her skin. It dries matte which makes it perfect to use before applying makeup. I think if you have wrinkles this would work perfect for you. Which of these products interests you the most?